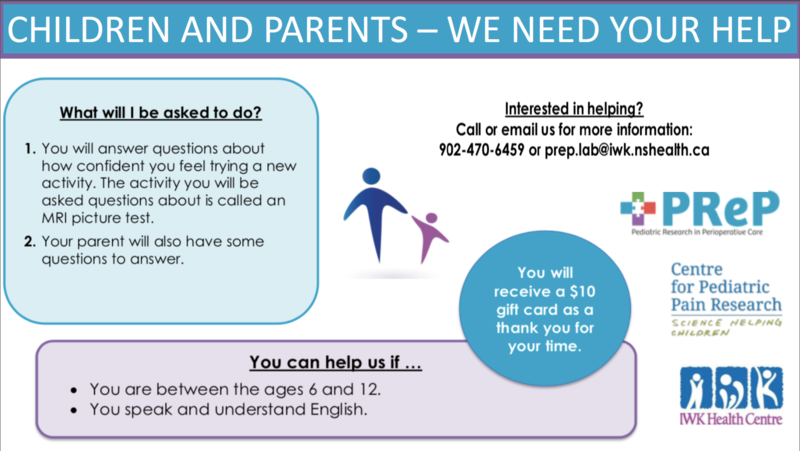 We are always looking for families who want to participate in one of our on-going research studies. Please click on the links below to find out more information about our current studies. We want to learn about children’s confidence when trying new things and we need your help. Parents and children between the ages of 6 and 12 will be asked to answer questions about how confident they feel trying a new activity. Participants will learn all about a medical procedure called MRI and will complete some questionnaires during a short visit to our research lab at the IWK Health Centre! You will receive a $10 gift card as a thank you for your time. This study has been approved by the IWK Health Centre’s Research Ethics Board. Have you experienced chronic pain on a daily or almost daily basis for at least 6 months? Do you have a child between the ages of 11 and 17 years old? Do you live in Canada? We are looking for parents with chronic pain and their children who should be between 11 to 17 years old, to take part in a research study. We will ask both you and your child to participate in a telephone interview. We ask you to answer several questions about your experiences as a parent with chronic pain and we ask your child several questions mainly about how they feel and react when you have pain. You will receive an online gift card for your participation! 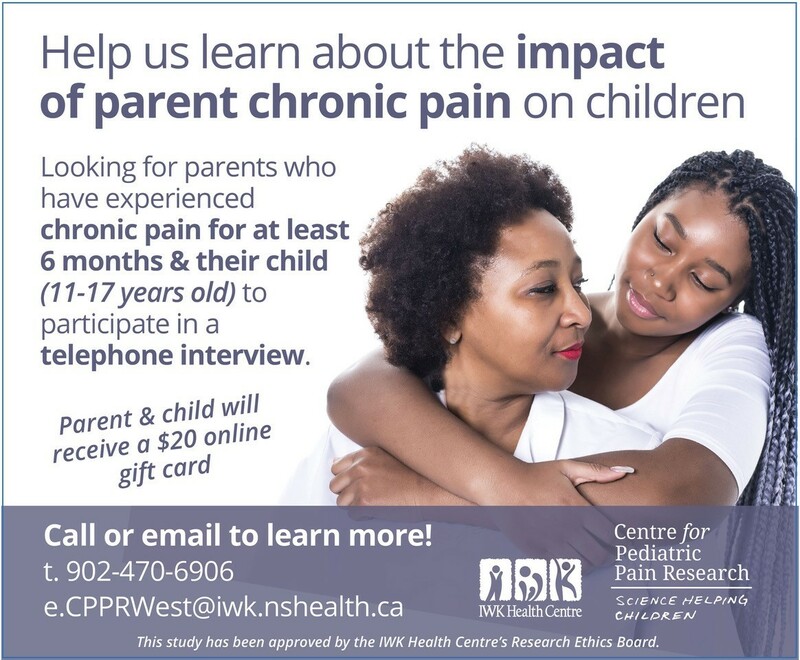 Please call, 902-470-6906 or email CPPRWest@iwk.nshealth.ca should you have any questions or would like to participate.